Wearable technology is transforming several industries, from communications to fitness to financial services. But how much will it change the way we bank, and how quickly? The banking industry in particular is adopting wearable technology as a way to expand popular mobile banking offerings. 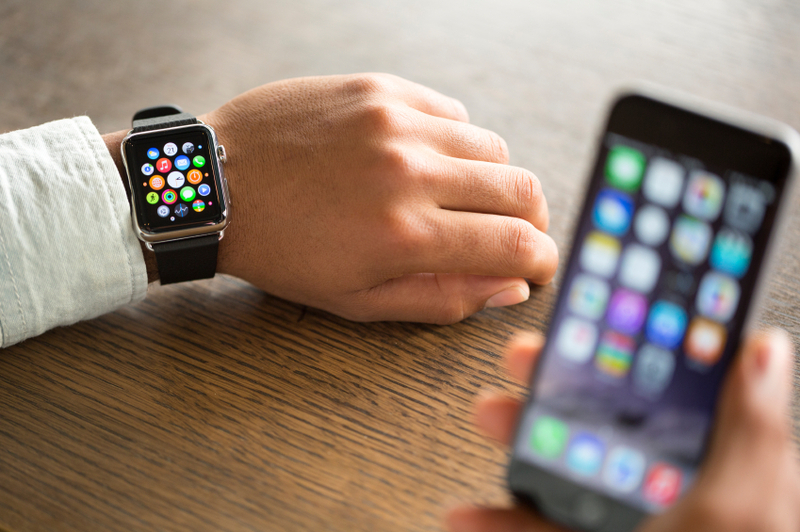 Customers can perform simple financial tasks, like monitoring account balances, using a smartwatch. Although there are several Android smartwatches available, the Apple Watch is perhaps the most-talked-about piece of wearable technology currently being sold. The Apple Watch, which was released in April, is tethered electronically to the owner’s iPhone, communicating with it through Bluetooth technology. The watch depends on the phone for much of its functionality. When it was announced, developers hastily created add-ons to the apps they had already designed for the phone. These apps can perform limited functions compared with those for smartphones, and users like Steven Grady have observed that the watch apps are slow to load. Grady, a project manager with ride-sharing startup Lyft in San Francisco, is looking forward to improvements when watch-specific apps become available, expected later this summer. Until then, he says, watch apps are like “little awkward stepchildren” of iPhone apps. 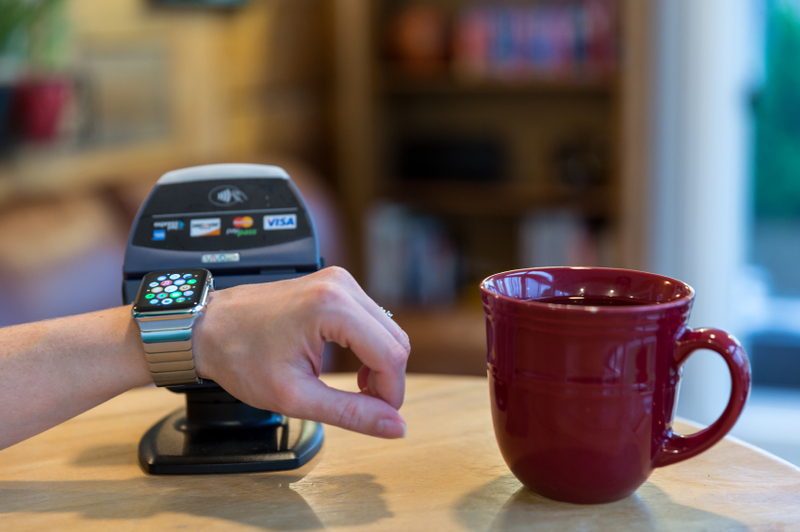 The Apple Watch can be used to make payments. The banks that have flocked early to Apple Watch technology have not necessarily been large. Robb Gaynor, chief product officer of Malauzai Software in Austin, Texas, oversaw the development of a generic app that his company’s more than 300 bank and credit union clients could customize. The availability of customizable programs like Malauzai’s may mean that more institutions will be able to offer smartwatch apps in the near future. When the Apple Watch went on sale, Gaynor says 8 of 10 banks and credit unions with apps ready to offer were Malauzai clients. “It was kind of fun that we could get these community banks and credit unions that are not normally known for innovation live on launch day,” he says. Malauzai’s watch app is, by necessity, a very stripped-down version of its existing mobile platform. “We had to do things that you could do without logging in in the traditional way because you can’t log in on the watch,” Gaynor says. These functions include checking a balance, looking at a transaction history, and looking up branch contact details. The simplicity of the tasks he can do with his Apple Watch is part of what appeals to Grady, who has installed apps for two credit cards, budget-tracking software Mint and his primary financial institution. “The constraints are actually kind of nice,” he says. Grady echoes a common refrain among smartwatch owners who say that the wearable device frees them from a troubling reliance on their smartphones. Before the Apple Watch, Grady says, he would often pull his phone out to check something, but then get distracted by his Twitter feed, Facebook or his email. “I’d end up checking things just to check them, sort of out of habit,” he says. On the watch, Grady only receives crucial notifications, rather than the flood of alerts and pop-up messages that have taken over his phone. The watch depends on the iPhone for much of its functionality. “The little red notifications — they’re evil,” he says. The simplicity of the banking functions available on the watch also reduces security concerns. Gaynor’s company is hoping the Apple Watch and other wearable devices will increase customer engagement. He says a typical mobile banking user logs in four to five times a week, twice as often as those who bank online. The company’s projections estimate that watch bankers will log in even more often: five to seven times a week. “That’s amazing engagement for a community bank,” he says. Grady, meanwhile, is using his financial apps even more often than that, checking them a couple times a day. He’s hoping app developers will move toward more behavior correction, similar to the way wearable fitness trackers like Fitbit bracelets have helped encourage wearers to exercise more. But the potential for wearables to expand biometric tech in financial activities also raises some concerns. “One of the biggest ways it could change banking is through authentication,” McIntyre says. Biometric identification, such as the Touch ID feature on newer iPhones and iPads, is already widely available. A tiny touch screen that reads a fingerprint allows the device to identify its owner, and some people speculate that similar readings could be made of the back of the wrist to identify a watch’s wearer. McIntyre says wearables may soon use heart-rate monitors to identify us, or motion sensors that could read the unique cadence of our gaits. Fitbit devices already use similar technology. Financial institutions have barely begun to dabble in wearable technology and the ways that it can transform how people manage their money. But don’t get rid of your wallet just yet — there’s still a long way to go.